Regarding the previous post, both Tesla (12%) and BYD (11%) maintained their lead, but last year winner, the #3 Renault-Nissan Alliance (9%, -1%), lost a bit more ground, with the rising BAIC (8%, +1%) cutting distances to the podium, having surpassed BMW in November, to reach #4. In fact, if we have increased this to a Top 10, we would only have another Legacy OEM here, Hyundai-Kia, #7, with 58.990 units. So, BMW and the VW Group are still too PHEV-based to be considered one of the leading Legacy OEMs. Maybe things will look different in 2020? Looking at Tesla's performance against prior auto companies that ultimately failed after ~a decade, I'd say they're on track to beat Saturn's best year (~303K S-Series in 1995) this year. They're also close to overtaking Kaser-Frazer for cumulative production... during that company's 9 years they managed 750K-900K vehicles... Tesla is somewhere around 500K right now, so will likely overtake them within a year. My point is, Tesla is here to stay. It's been that way for a long time (Google or Apple would have bought them at any point since at least 2015 given an opportunity) but it's definitely that way now. Hi Jose. VW reported global sales of almost 100,000 electrified vehicles in 2018, with a BEV:PHEV ratio of 33:67. Your figure seems to underestimate VW Group’s. Looking at the future and disruption, we really need this list with BEV only products. Most BMW products are defensive and try to keep the status-quo, just as the Toyota, you hardly need the plug, offerings. Good point, i will make an update on that soon. Thanks, it is worse than I feared. electrified cars from VW means also conventional hybrids. 2019 will be an interesting year to observe how EV's progress. - Will OEM's manage to achieve the Chinese 10% quota? - Today, the first carrier with 3.000 Model 3 arrived at Zeebrugge. How will Europe adopt the Model 3 in 2019? - How will all the new EV models perform in 2019 (Niro, etron, EQ, Taycan etc.)? - How will the start-ups manage when they crack their eggshell and start breathing air in the real world (e.Go, Uniti, Sono Motors, Byton and maybe more...)? Many of them gear up for production this year. 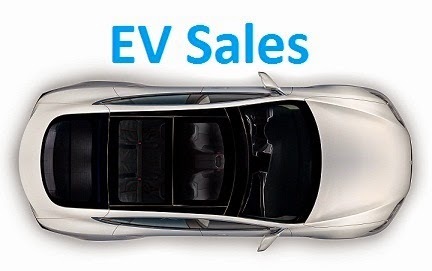 - Which other OEM will come up with good news about and announces new EV's? - I think at this moment, many Chinese OEMs have past the quota requirements, ironically, they will "help" more foreign OEMs into electrification, than the local ones. - The Tesla Model 3 will be warmly welcome, but it won't make the same disruption it made in North America.